Early in the morning my dear hubby and his mom will be taking our Hannah down to Indianapolis for surgery on her arm (surgery is scheduled for 9:15 a.m.). She's had this surgery before (about5 years ago) to correct a bone that isn't growing properly. It's not growing again and it's hindering the use of her wrist. It's her left arm and she's left handed. She absolutely loves playing the piano but can't spread her fingers apart for certain notes and she has problems with some fine motor skills with that hand as well. The doctor will put an external fixator in her arm to help the bone grow. We're hoping and praying this helps. I am a bit sad and anxious since I can't be there. I have little Samuel who is nursing and he can't stay overnight at the hospital with us (nor would I want him to with all the hospital germs floating around) so my MIL is going with hubby for support and to keep him company. Since Hannah won't be able to use both hands/arms for a while she had to finish her 4-H projects ahead of time (with the exception of her foods project...biscuits...not sure how that's going to work out). So before our trip out east she finished her pillow for sewing. And today she finished her cake decorating project. (Can I just say that Royal Icing and I have a love/hate relationship. I love that the cake can be decorated so many weeks ahead of time (it's a styrofoam cake dummy), but I hate that it is a pain to work with...super thick! 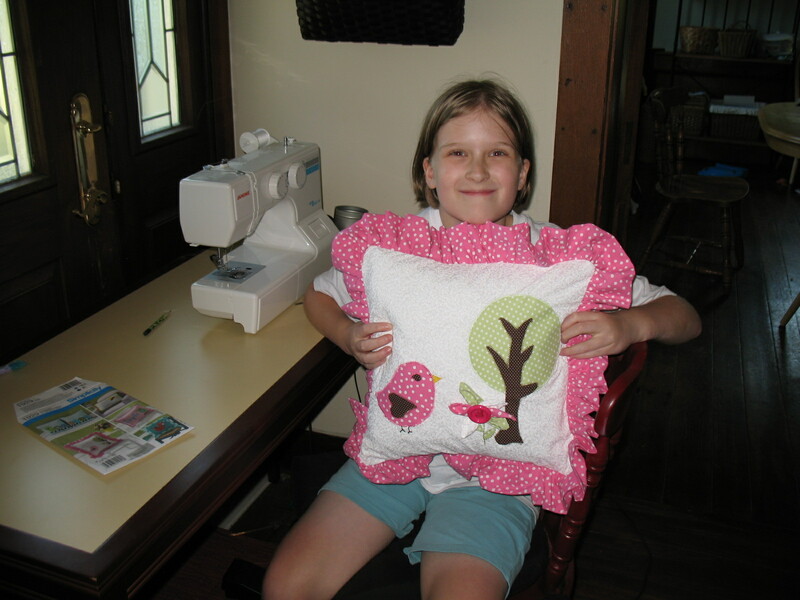 Anywho...she's so happy that it's done and wanted me to share her finished project with you. Please pray for safe travels, steady hands for her surgeon, and patience and peace for all of us. Thanks so much! Saying prayers for your beautiful Hannah. Please let Hannah know that she has friends in South Carolina praying for her. Our prayer is for successful surgery and recovery! GO HANNAH! Mom, rest in knowing that your baby (and entire family) is being covered in prayer.